moving mountains: Dolphins Live in our World. Amazing! Dolphins Live in our World. Amazing! Dad's note: ever since we swam with the dolphins here in Georgetown, we have been seeing them periodically. The other day as we were working on the engines, one of them kept us company for a good half an hour, swimming by and checking on us every few minutes. So, Katie decided to do some research on dolphins to learn more about them. Here is what she came up with. Dolphins belong to the order of Cetacea. These creatures are the most specialized mammals, adapted to live all there lives in the water. 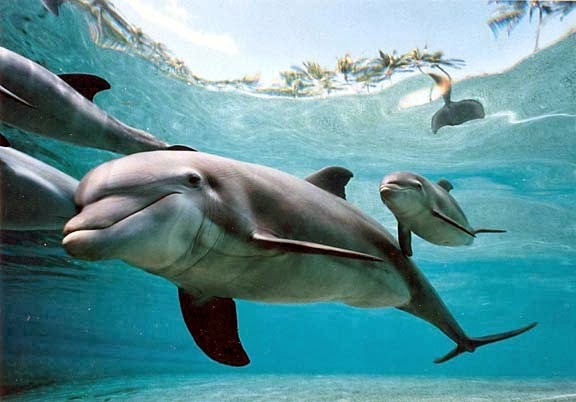 Dolphins are part of the Delphinidae family. Delphinidae is the largest family in this order. 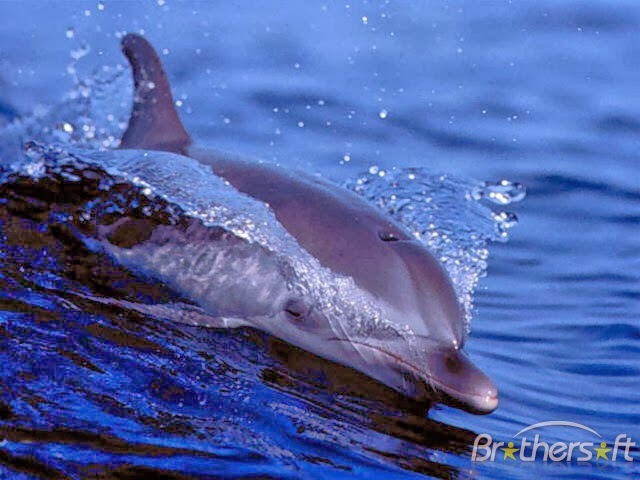 Other mammals in the Delphinidae family are the Common Dolphin, Long Finned Pilot Whale, Pygmy Killer Whale, Atlantic White sided dolphin, Northern Right Whale Dolphin etc. how big can a whale get again? 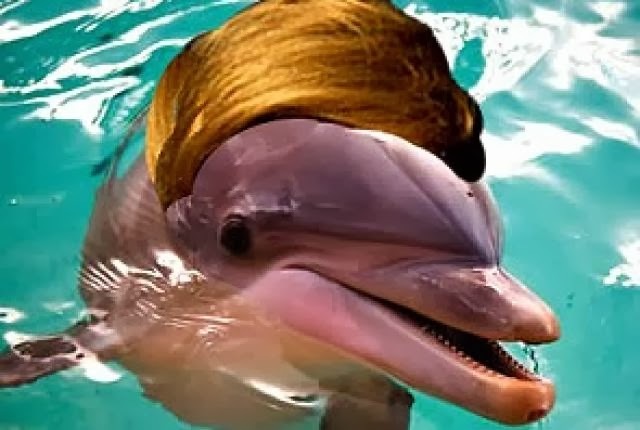 Fun Fact:Do Dolphins have hair? Dolphins are mammals so they must have hair, right? Well it is true that they are mammals, But dolphins only have hair when they are first born.This hair is fond on the top of the rostrum , which is the dolphins snout, and falls out within two weeks . Dolphins do not grow any other hair for the rest of their lives. Scientists have discovered fossil records of ancient Delphinids, which date back 11 million years. 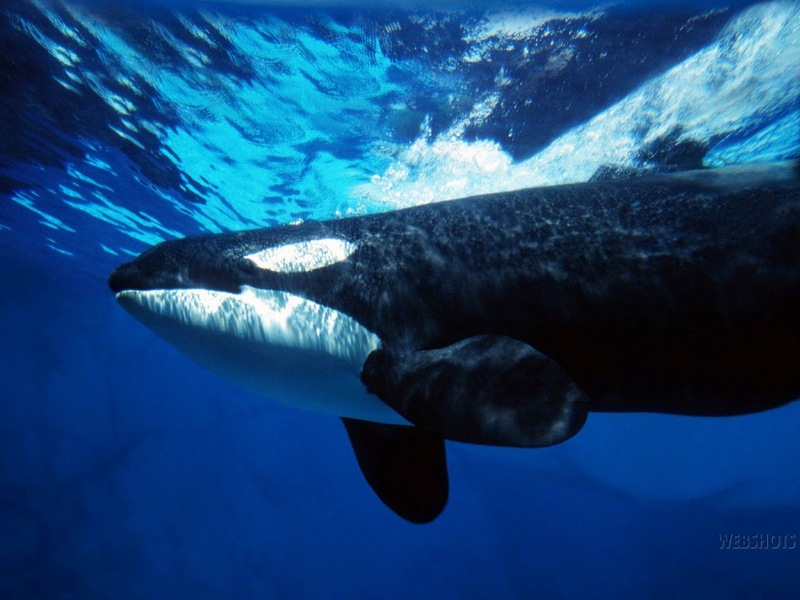 There are over 30 different species in this family, the biggest, least cute, terrifying, harmless, and most awesome is the Orca or Killer. this what I call a cute family! 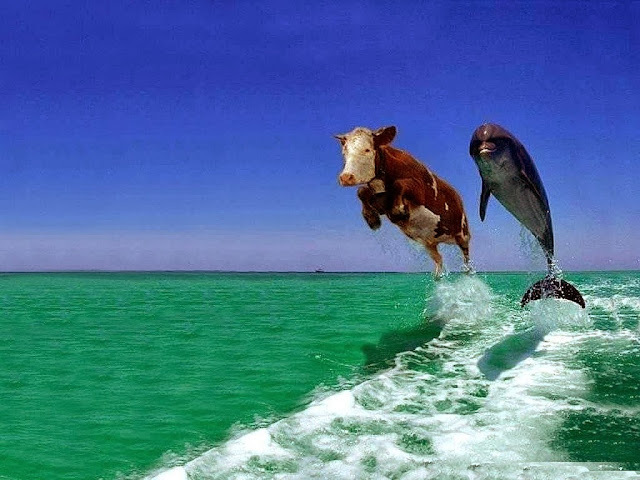 Dolphins and whales belong to the order of Cetacea. In fact dolphins are just a small version of whales. To be precise dolphins are small toothed whales. The order of Cetacea contains two sub orders :Mysicete and Ondontocete. Mysicete includes all of the baleen whales. Baleen whales do not have teeth. Ondontocete includes all of the toothed whales. cows are very different then dolphins. 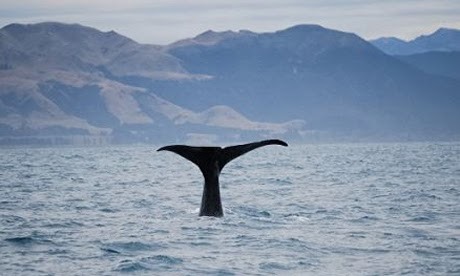 The ocean can be one of the hardest natural habitat in the world for mammals to live in. However dolphins are uniquely adapted for the marine environment How have marine mammals come to live in an aquatic world? Scientists believe evolution holds the key to life. this truely shows how much we and other creatures have evolved. Fun Fact: How many teeth do Dolphins have? There are dolphins with 8 teeth and there are dolphins with 250. Bottlenose dolphins have 88-100 teeth. They only get one set of teeth for there whole life. Dolphins do not use there teeth to chew like I do. They use their teeth to catch their food to then swallow it whole. how many teeth do you think this dolphin has? The maximum depth achieved by an Atlantic bottlenose dolphin during a dive exceeded just over 990 feet by a navy trained dolphin named Tuffy. all mammals are warm blooded, which means they can regulate their own internal body temperature. If you look closely, you can see veins running through the tail flukes of a dolphin. These veins are important for maintaining the internal body temperature of a dolphin. In the summer a dolphin keeps cool by increasing blood flow out to the extremities. the outgoing arteries expand with the blood flow. The veins and capillaries along the surface of the skin also expand, allowing heat to be released through the surface of the skin. 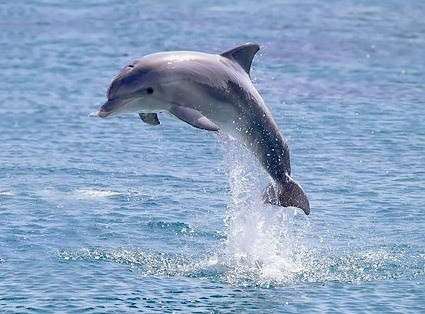 dolphins have natural beauty in water. Fun Fact:Do Dolphins drink water? Dolphins do not drink water like humans do. All animals do need water to survive but they don't get all their water in the same way. 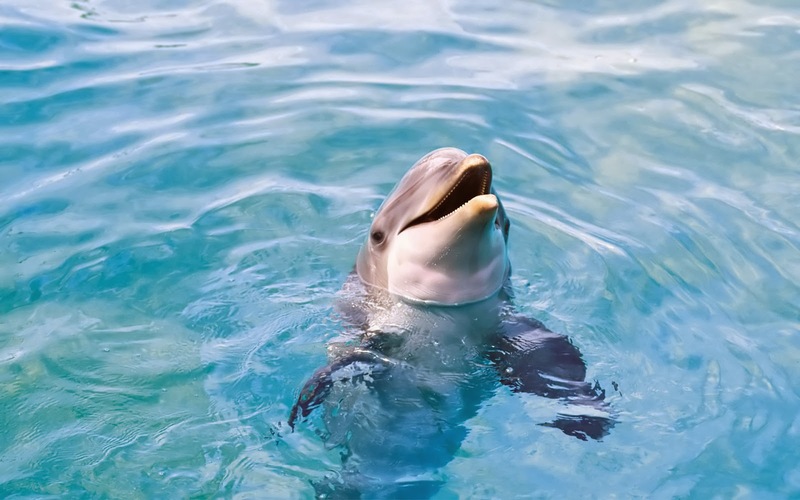 Dolphins don't get water like we do because most of the water they swim in is as salty! Yuck Dodley Duck! Instead dolphins get all their water from the fish they eat. They may choose to eat different types of fish depending on the amount of calories and water they need. Inside dolphins pectoral fins, dolphins have skeletal structure similar to a human arm and hand. this is one of the many internal physiological structures leading to believe that dolphins and whales evolved from a terrestrial ancestor. Junk and New? No! Junkanoo! Back from work. Back to work.